OAS Secretary General Luis Almagro speaking with Miami Herald/WLRN News last week. Venezuela is in its fourth week of massive anti-government demonstrations – and so far 21 people have been killed in the unrest. The country has the world’s largest oil reserves, yet it’s suffering the worst economic collapse in modern Latin American history. Protesters say socialist President Nicolás Maduro’s regime has become a dictatorship. But outside Venezuela, Maduro’s harshest critic is Luis Almagro – secretary general of the Organization of American States, or O.A.S, the western hemisphere’s U.N.
“The problem about Venezuela is that democracy completely collapsed and disappeared,” Almagro told a group of Miami Herald/WLRN News editors and reporters last week. He was in Miami to discuss the Venezuelan crisis – and he didn’t sound hopeful. 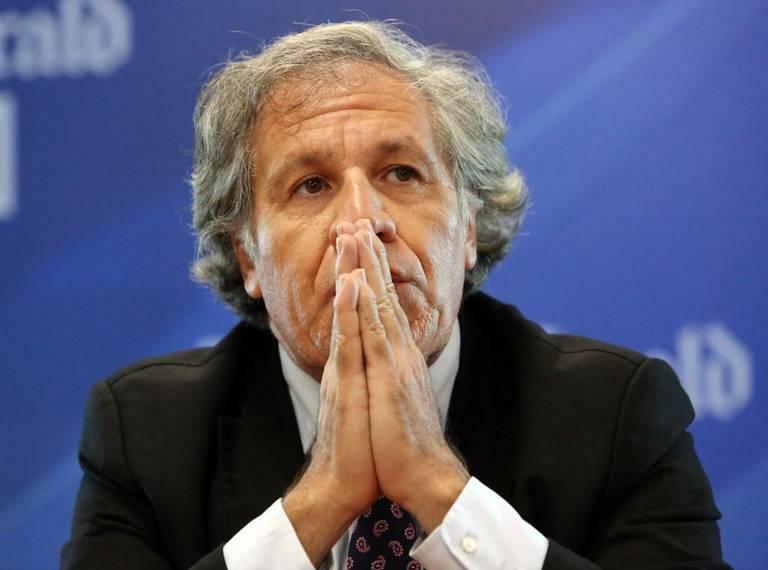 A big problem for Venezuela when it comes to Almagro is that he’s no right-winger. 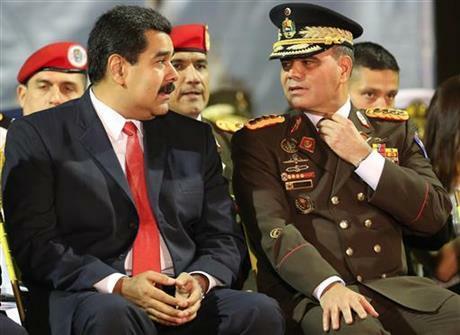 And this month an O.A.S resolution all but declared democracy dead in Venezuela. Almagro is leading a push to make Maduro hold general elections that the socialists would almost surely lose. If the regime refuses, Almagro says Venezuela could be suspended from the O.A.S and its diplomatic projects. 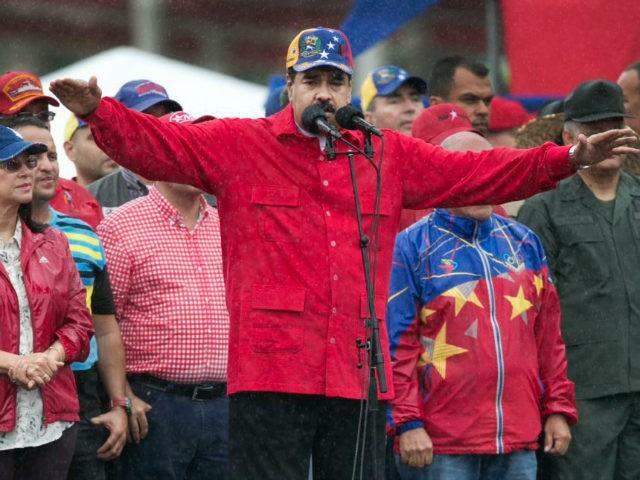 He lays the blame for Venezuela’s humanitarian crisis and violence squarely at the feet of the Maduro regime and its socialist suffocation of the country’s economy and political rights – including the detentions of more than 100 political prisoners. Asked about the Maduro government’s claim that he and the O.A.S are in reality calling for a coup in Venezuela, Almagro insisted, “There is not a coup d’état in Venezuela. Nobody is bombing Venezuela. 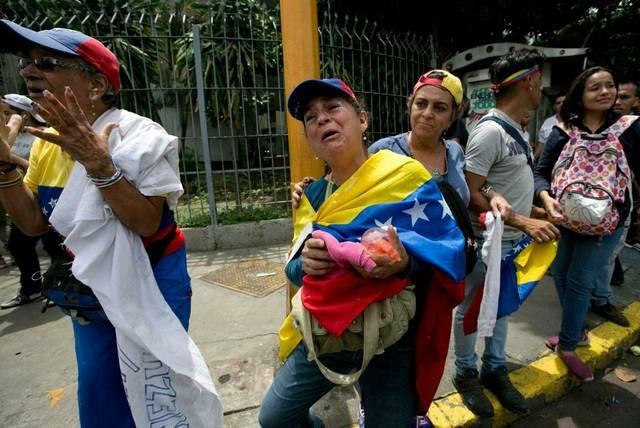 A human rights cause important to Venezuelan expats in South Florida is opposition leader Leopoldo López, who recently marked his third years in a Caracas jail for leading protests. Almagro was reminded that the O.A.S doesn’t exactly have a great track record confronting authoritarian governments – like the right-wing regime that took over Honduras after a 2009 coup. But Almagro thinks this time the Organization’s members are getting tough. 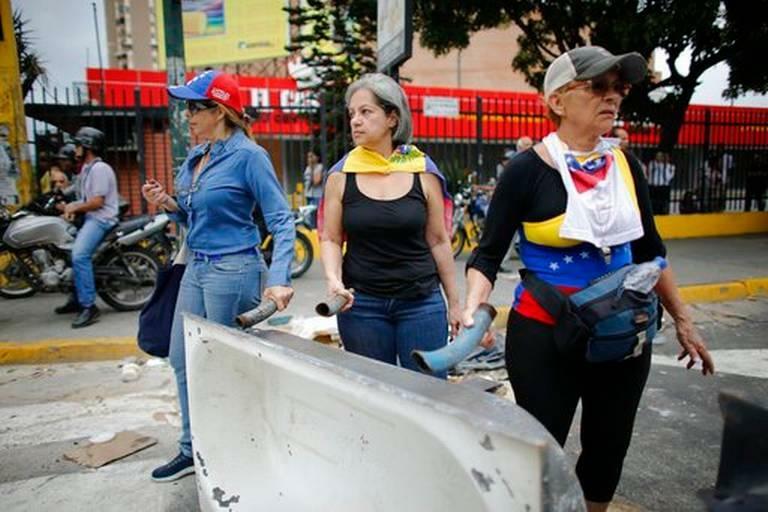 Women used bathtubs Monday to block a Caracas road as part of anti-government demonstrations in Venezuela. Almagro also had praise for the Trump Administration, which recently leveled economic sanctions against Venezuelan Vice President Tareck el Aissami for alleged drug trafficking. Finally, Almagro chastised Cuba for giving the Venezuelan regime what he called “very bad advice.” He said Havana doesn’t understand something important about Venezuela. Cuba’s 1962 suspension from the OAS was lifted eight years ago – but Cuba says it doesn’t want OAS membership. Almagro said that’s fine with him since Cuba isn’t a democracy yet. On Monday, tens of thousands of protesters blocked roads and highways across Venezuela. 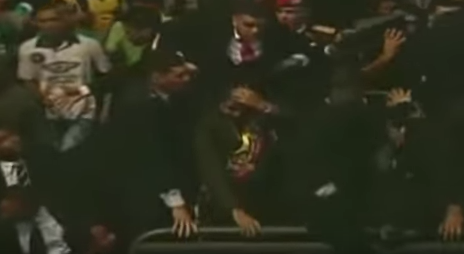 How much do Venezuelans hate President Nicolás Maduro? Apparently they revile him so much that – in a country where food shortages are so acute the average adult lost almost 20 pounds last year – they’re willing to throw eggs at him. This is Semana Santa, the Easter Holy Week, a time when Maduro hoped most Venezuelans would pause their angry anti-government protests and head to the beach. Instead they pelted him with stones and eggs as his open car moved through Ciudad Guayana on Tuesday. Last December – when Venezuela’s opposition demolished the ruling socialists in parliamentary elections – a lot of folks got ready for an Andean Spring. It’s hard to believe that guards at the Miraflores Palace in Caracas still let Venezuela’s breathtakingly clueless President Nicolás Maduro through the gate each morning. Because history will remember Maduro – the laughable lefty who was fodder for a John Oliver monologue this week – for transforming the western hemisphere’s most oil-rich nation into the Caribbean Korea.